When you look into the deep soulful eyes of a panda, the last thing you expect is that the panda will lie to you to get extra food. That's something that you'd expect of bears, certainly, and definitely from foxes. Rabbits, obviously. But a panda faking pregnancy just to survive extinction? Now that's beyond the pale. I'll never trust another panda again. Giant panda Ai Hin, who currently lives at The Chengdu Giant Panda Breeding Research Centre, gave researchers the idea that she was pregnant when she began showing signs that she was with child last month. Everyone was very excited because giant pandas are endangered, but then, with a live broadcast of the birth about to be displayed, Ai Hin's behavior returned to normal, leading those working with her to believe that what she had experienced was a phantom pregnancy. But why? Why would the panda lie to those around her? Why would she dash the hopes of millions of people wanting to welcome a new panda into the world? Unfortunately, we may never know. But researchers have some ideas. The breeding centre, in China's southwestern province of Sichuan, commonly moves pandas which are thought to be pregnant into single rooms with air conditioning and around-the-clock care. "They also receive more buns, fruits and bamboo, so some clever pandas have used this to their advantage to improve their quality of life," Wu Kongju, an expert at the base told Xinhua. 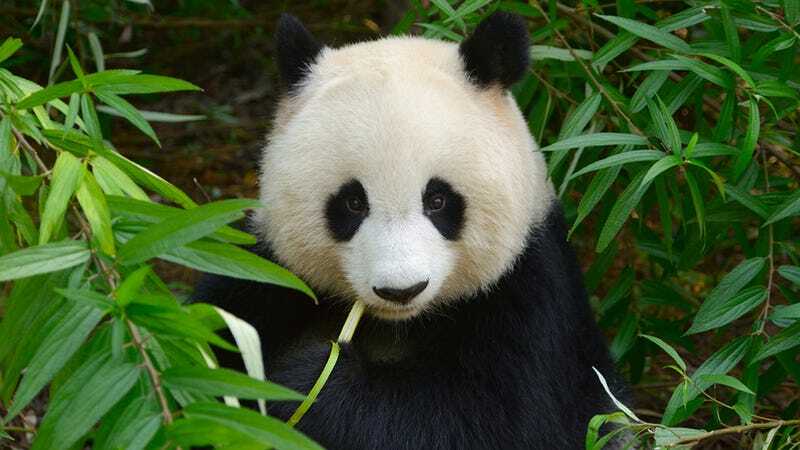 According to Xinhua, pandas notice the kind of treatment that the pregnant among them receive and physically fake pregnancies to get more food and better lodging, thereby assuring a better quality of life and higher chance of survival for themselves. Which is great and all, and very, very smart and I can't hate on this panda for hustling, but I don't know if I can ever look at a panda the same way again. Sorry, panda. It's over. Goodnight, everyone, this is really affecting me.